Dinner at The Eight in Macau. 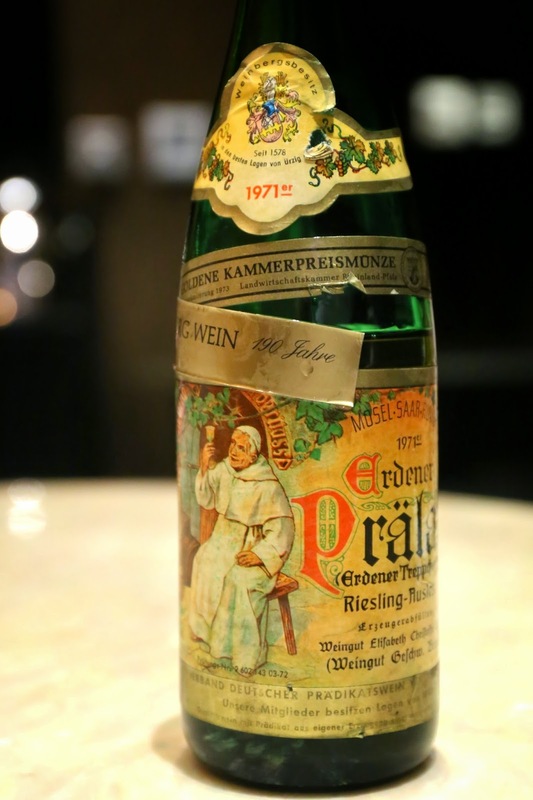 1971 Christoffel Berres Erdener Prälat Riesling Auslese - wonderful nose of mandarin orange and marmalade, with some nutty and apricot notes. Nice acidity on the rounded palate. Finish was a little short, and also slightly bitter. Beautiful amber color. 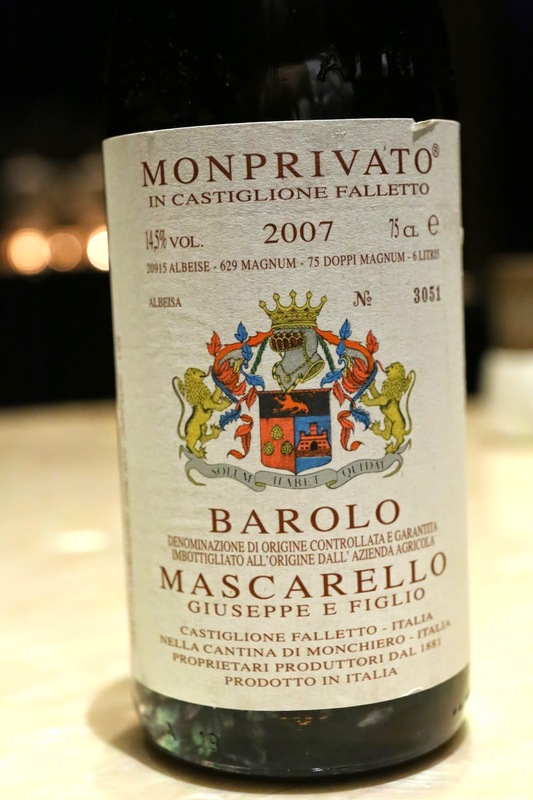 2007 Giuseppi e Figlio Mascarello Barolo Monprivato - decanted but still really young. Very ripe and fruity nose, definitely strawberry and jammy. A little sharp on the palate.